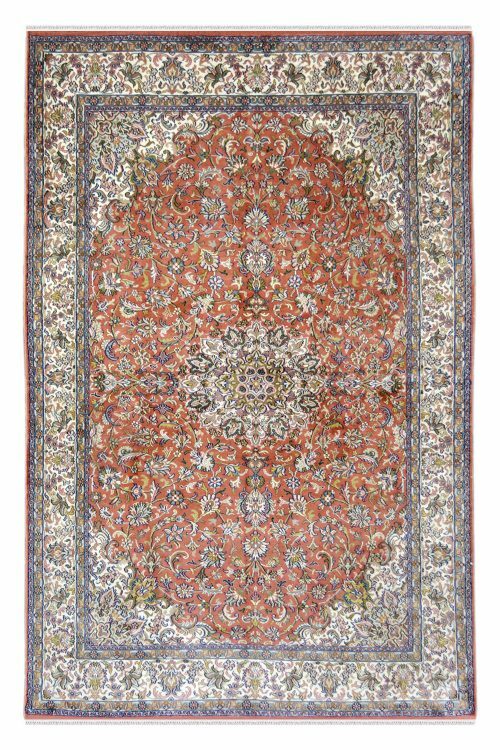 “One of a kind” design pattern, this area rug is handknotted in pure silk and cotton material. 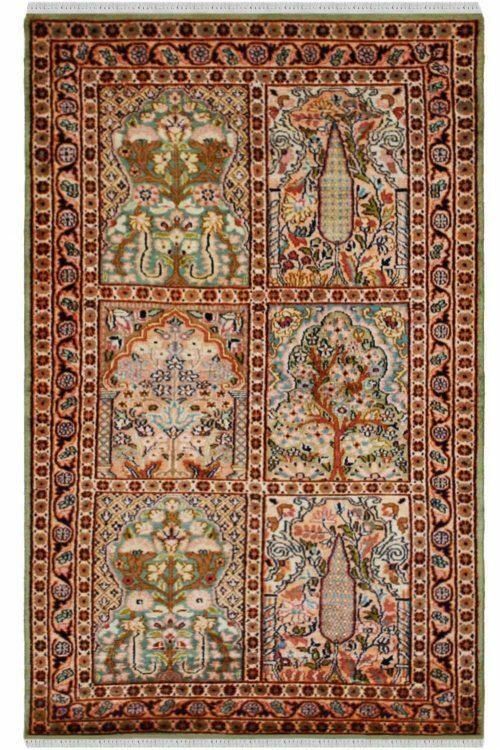 Decorate your room with this vibrant and cozy carpet. This carpet is ideal for the living room and bedroom as well. 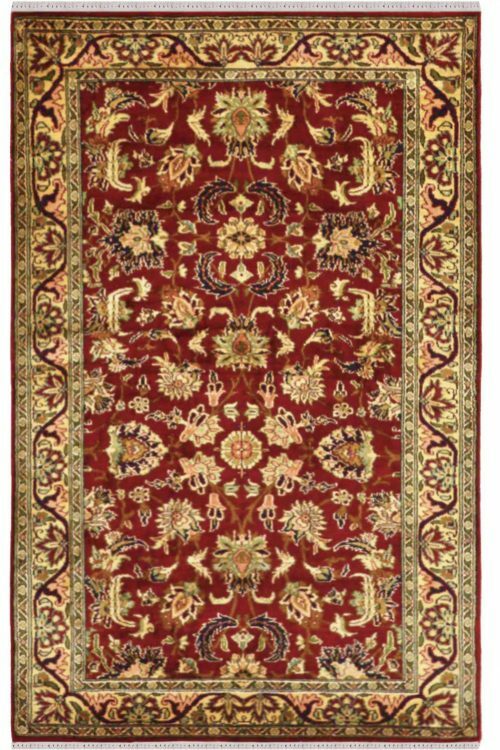 <h1> Teen Phool Medallion Silk Oriental Carpet </h1> Raw pure silk and cotton are completely processed by hand to create the yarn that contributes to the weave this beautiful carpet and make a collection on Yak Carpet, being both an antique and new simultaneously. This carpet has taken approx. 5-6 months to weave. This carpet contains one of a kind design pattern including black and multi colors. 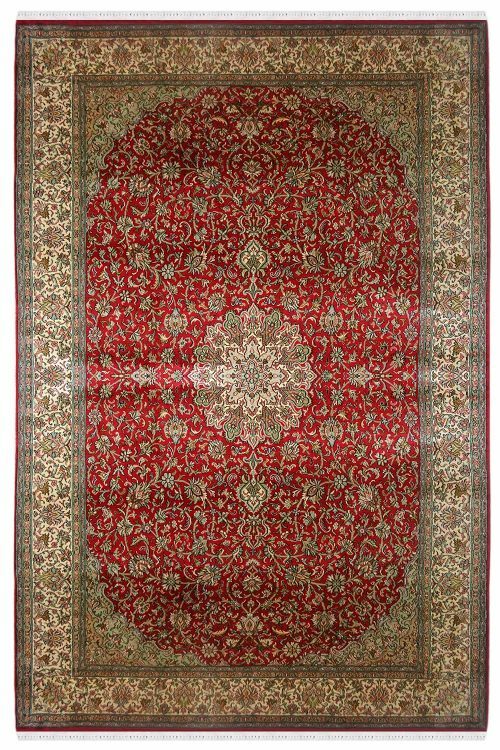 It contains very traditional and famous design pattern which is called kashan. 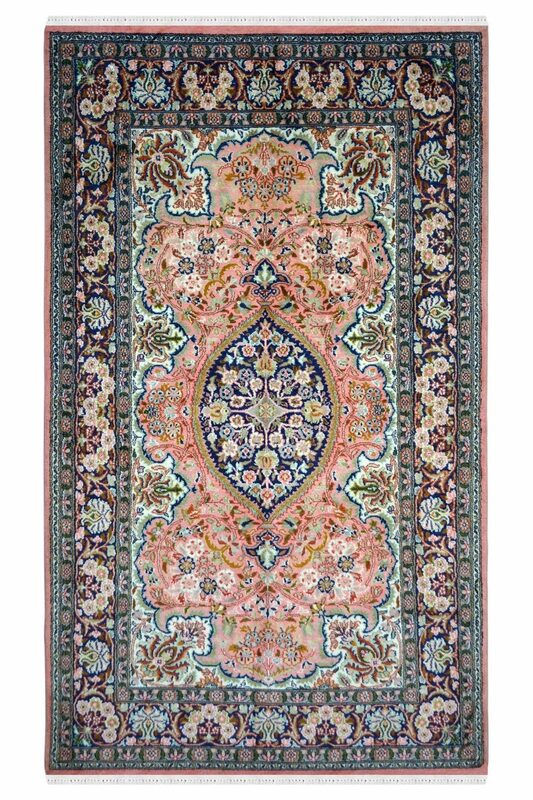 Kashan design has been originated from Kashan which is situated in Persia. Number of Knots in this rug is about 324 knots per square inch.